Library trustees and the City Council discussed a proposed 174-percent increase from the usual city contribution on Monday. 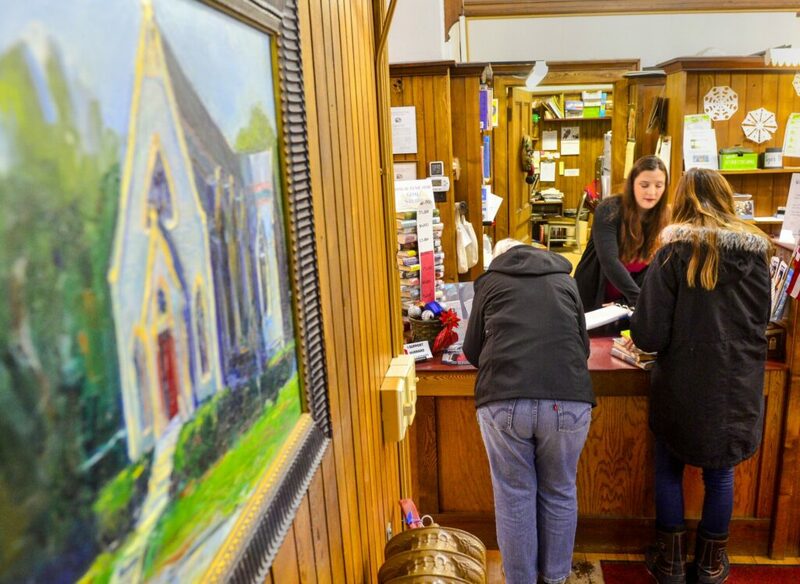 HALLOWELL — As Hubbard Free Library faces a budget shortfall and a revamp of their operation, trustees are asking the City Council for $74,000 in the next fiscal year. The library’s Board of Trustees and City Council met Monday night at the library to discuss the 174-percent increase over the $27,000 annual contribution the city has given in the last few years. This proposal comes in with other department’s proposals for city funding as officials craft the fiscal year 2020 budget. In August 2018, the city increased its contribution to the library, awarding the library $57,000; $15,000 for operating costs, its usual $27,000 annual contribution and $15,000 in tax increment financing revenue to fund the strategic plan and other small projects. On Monday, library Board of the Trustees President Ken Young likened the proposed increase to a “reasonable Christmas list” that could be pared back if councilors saw fit. He said the increase would be used to cover increases in wages for staff, improvements related to additional programming and paying down the library’s deficit. Councilor George Lapointe said the city had a number of large projects to mull — like a new loader for the Public Works department and a new police cruiser — along with the library’s proposal. He referenced a loose goal to keep the property tax rate flat, which the city did last year, but said it would not likely happen this year. The private, nonprofit library’s money struggles have been well-documented. In June 2018, the Kennebec Journal reported the funding bind was the result of a number of factors that included the Great Recession and ensuing economic uncertainty. Perhaps due to widespread financial constraints, donations to the library’s general fund and endowment took a massive hit. Because the general fund was down, the library had to dip into the endowment which was reported to be about $450,000, down from its peak at nearly $800,000. Young told the Kennebec Journal the endowment was no longer being drawn regularly and sat at $627,000 at the end of 2018. Young said Monday the library is staring down a $12,000 projected shortfall after making adjustments to how the endowment is managed, but it could decrease by $2,000 to $7,000 if donations goals are hit. Young said donations are down this year, sitting $26,500 this year compared to last year’s $33,800. Trustee Judy Feinstein said bolstering the library’s involvement in the community — through partnerships and events with other businesses — could lead to increased support by residents. City Manager Nate Rudy told the Kennebec Journal that an early draft of the municipal budget would be available ahead of the April 8 City Council meeting. Strategic planning included forums in January and March and a survey, where residents suggested a number of ways to spur community contributions. A few highlights from that discussion included using the space to hold concerts, serving coffee, holding dinner party fundraisers and having a dedicated space for selling used books to provide an alternate stream of income. The strategic plan will culminate in May with recommendations on how the library can be more fiscally sustainable. Young said Monday the results of a survey and the forums had not yet been analyzed. Mayor Mark Walker said Monday that trustees and councilors would meet in the future to hash out specifics of the city’s contributions. Built in 1880, Hubbard Free Library is the oldest library building in Maine still serving its original purpose.